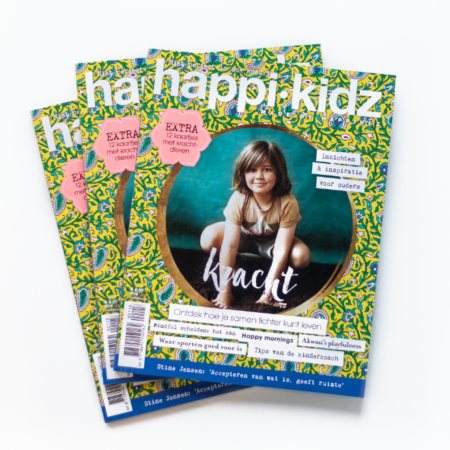 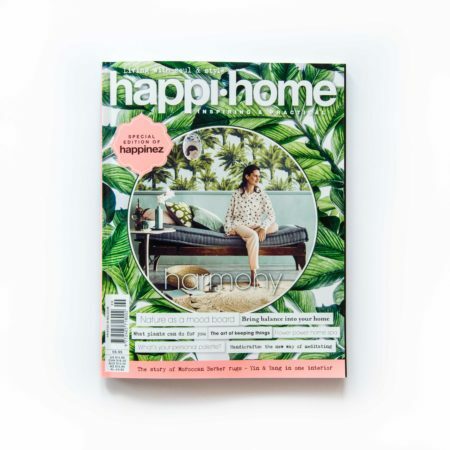 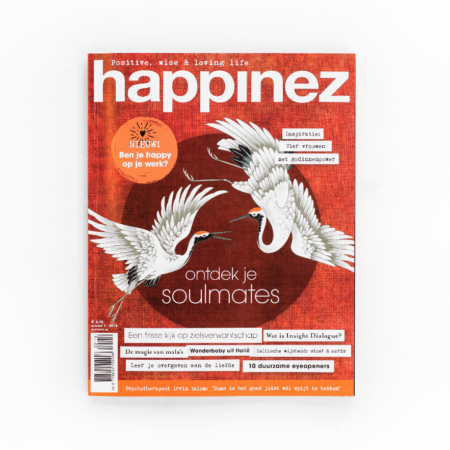 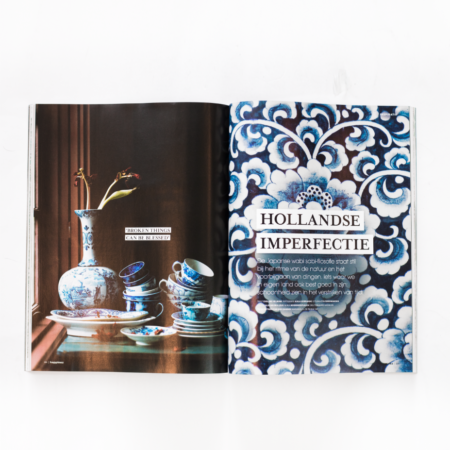 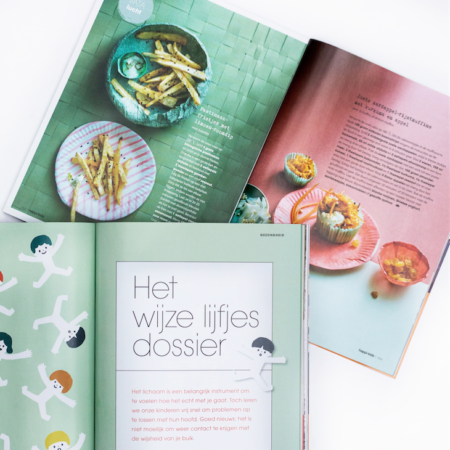 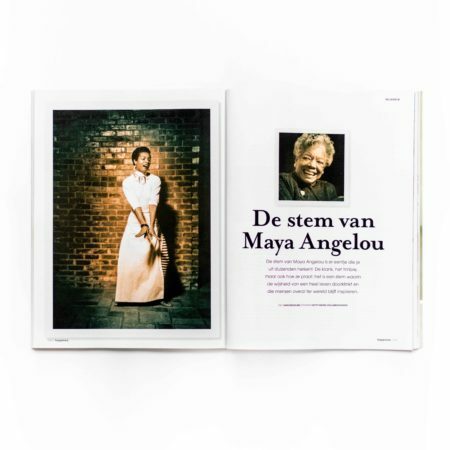 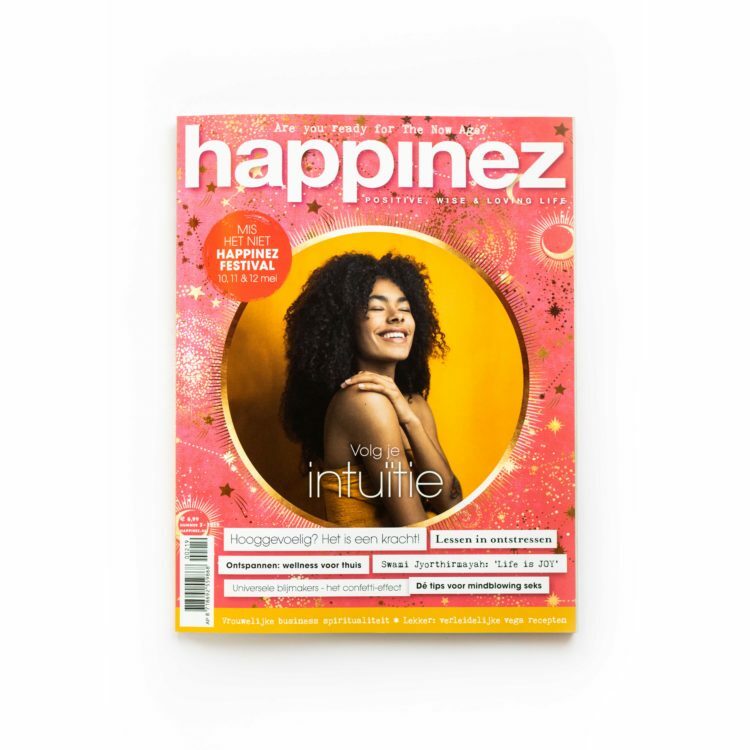 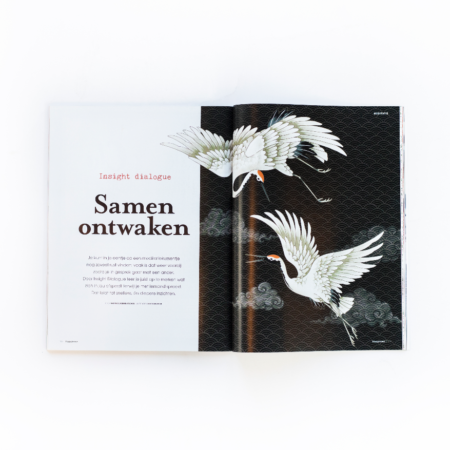 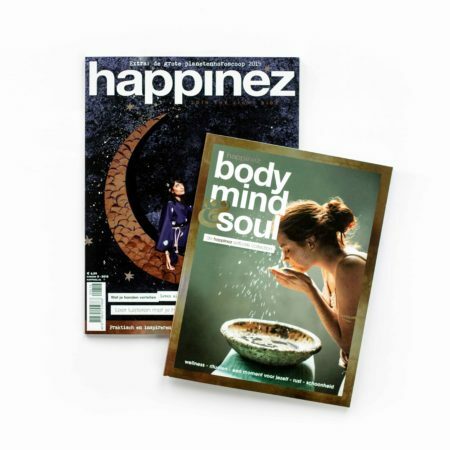 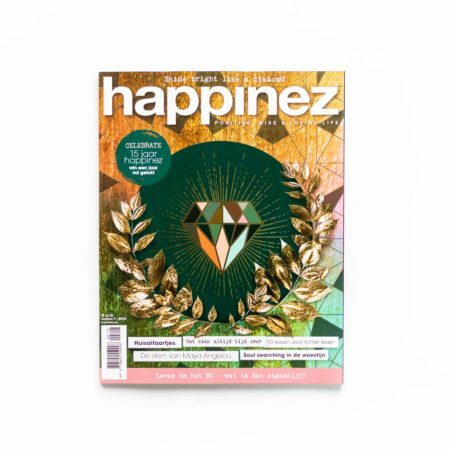 Happinez is the largest mind style magazine in the Netherlands. 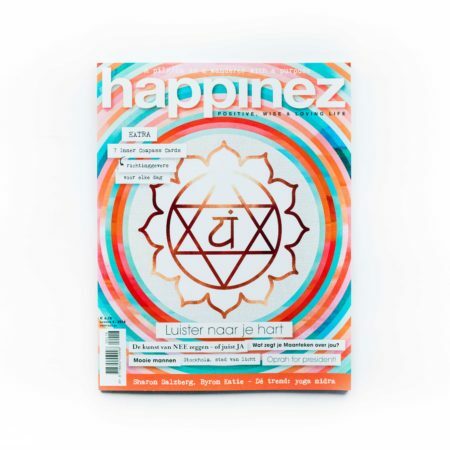 It is positive, inspiring, unique, spiritual and connecting. 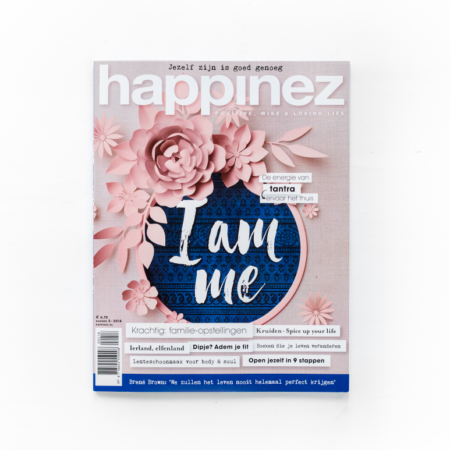 We created Happinez from day one and helped it build into a serious brand with a wide range of extensions. 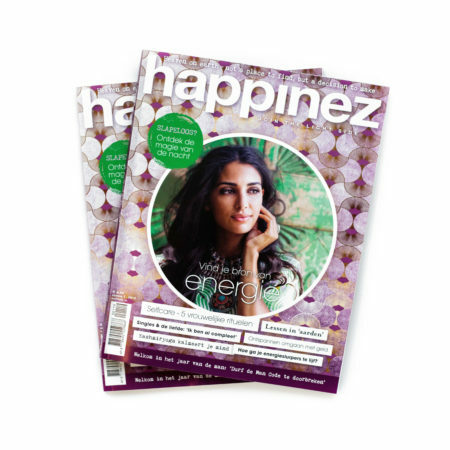 We are very proud that Happinez is one of the few who has their magazines published abroad in various countries and languages. 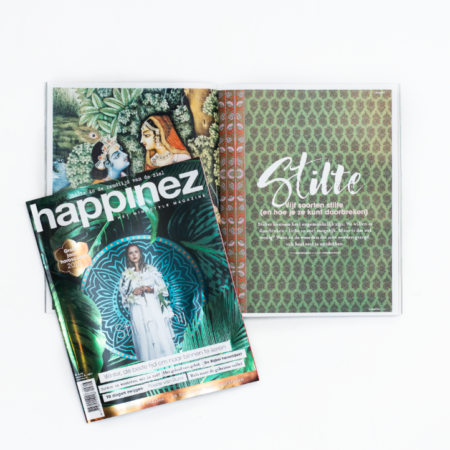 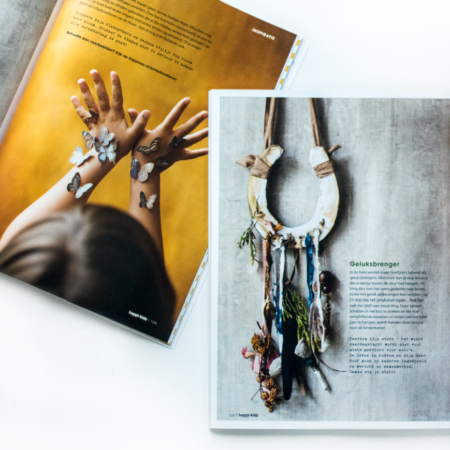 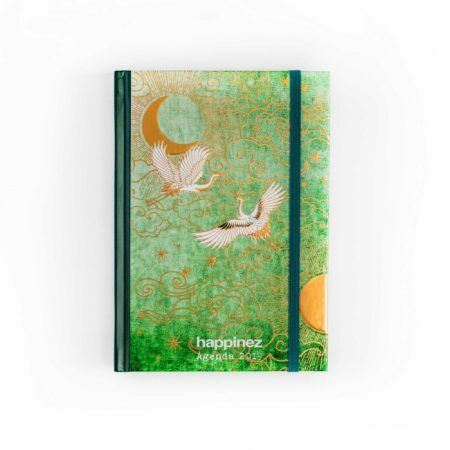 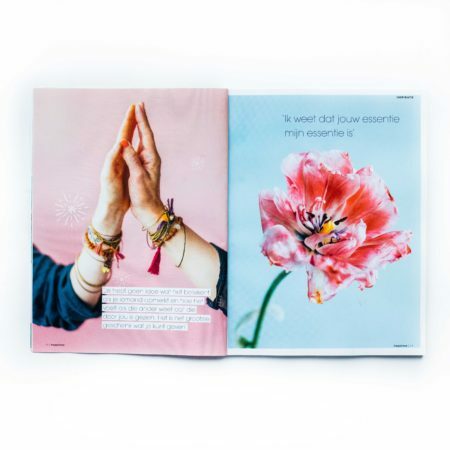 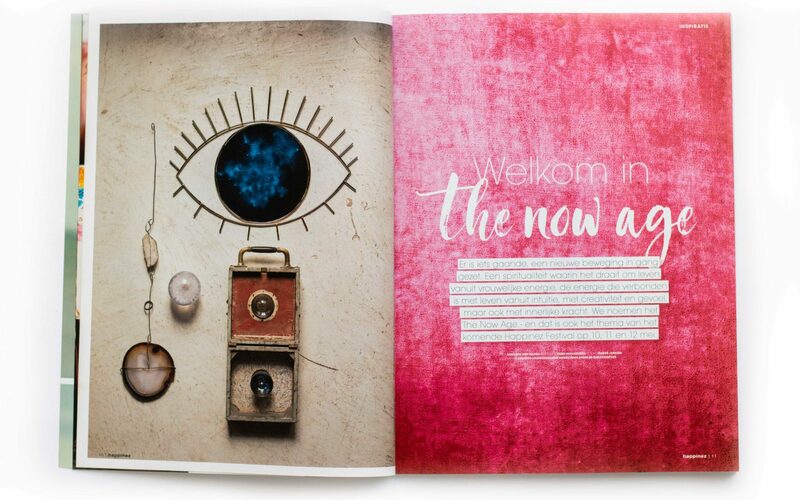 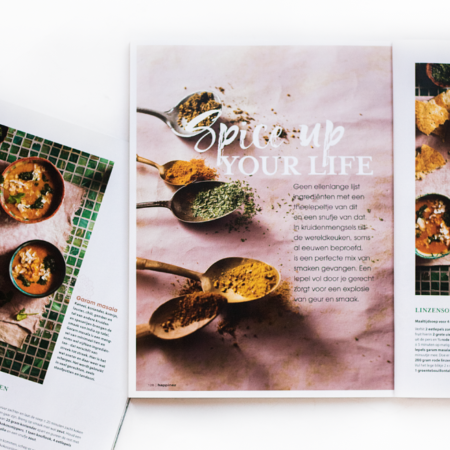 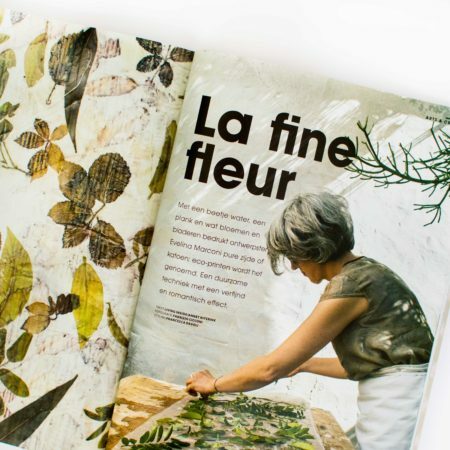 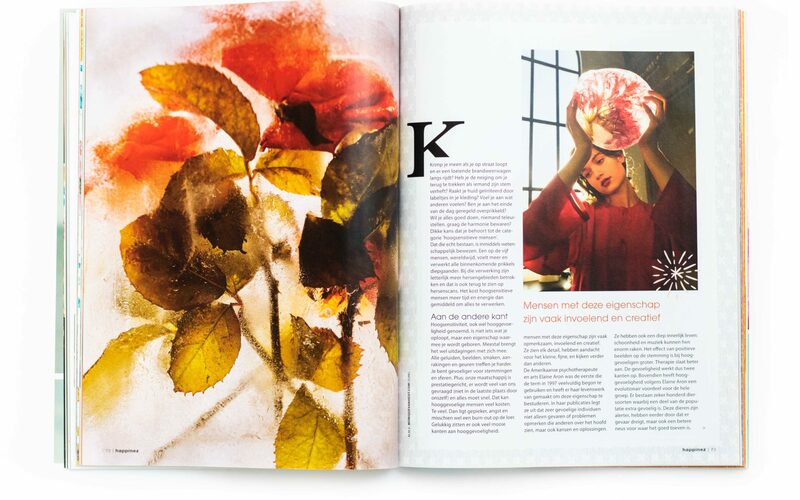 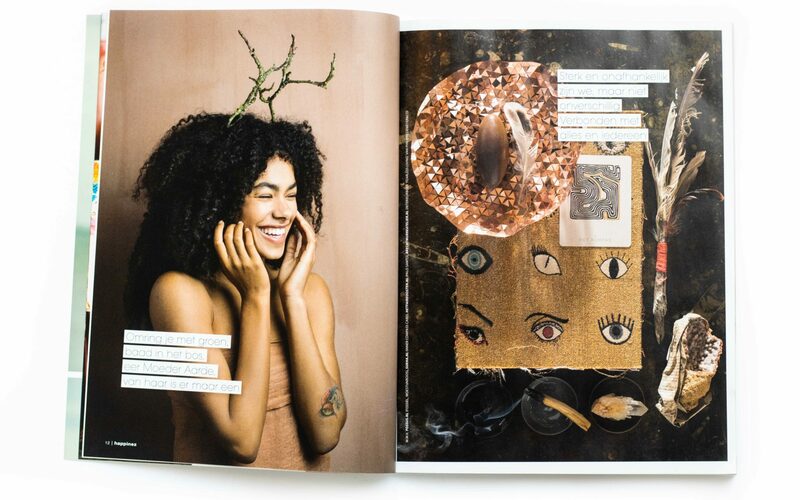 When we started designing Happinez, we first developed cornerstones on which the layout of the magazine is based: spirituality & wisdom, layers & profundity, nature & wonderment, color & feminine, illustration and patterns. 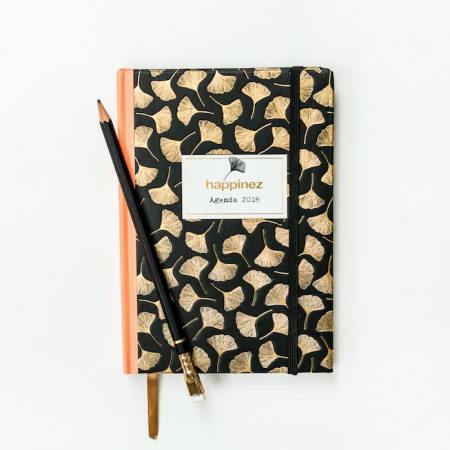 These six cornerstones together create the soul of Happinez. 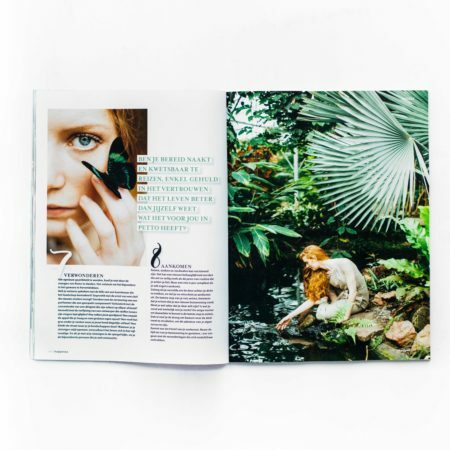 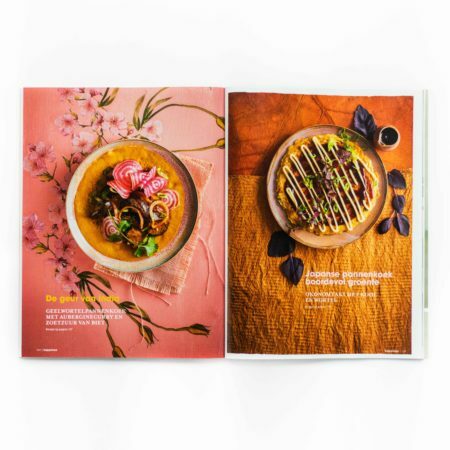 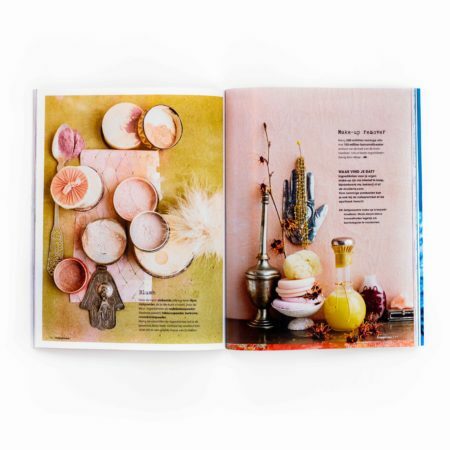 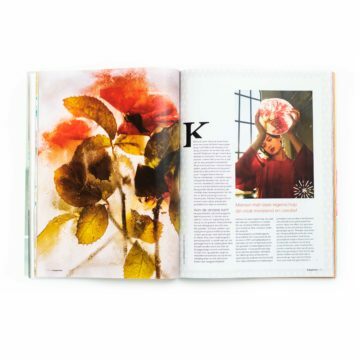 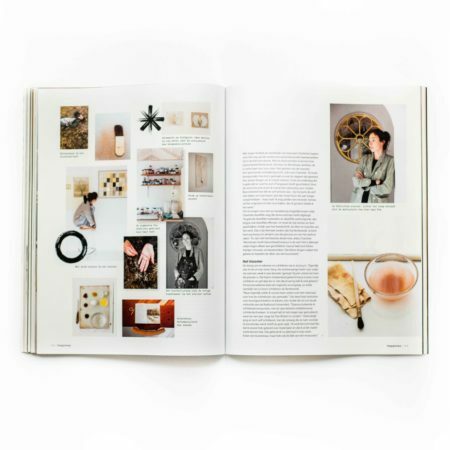 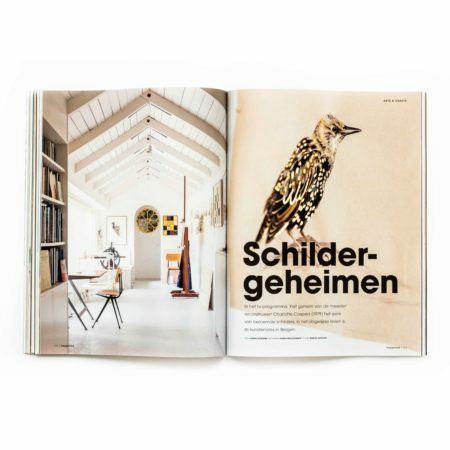 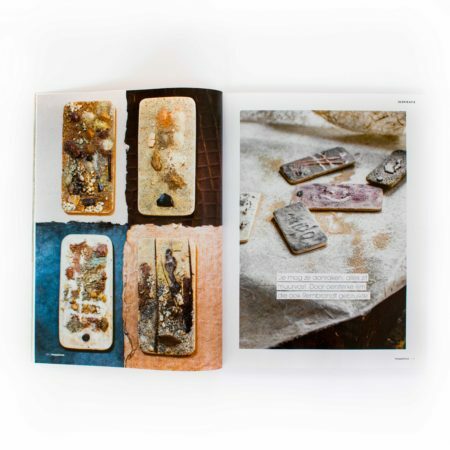 Each issue has a different moodboard and colour palette. 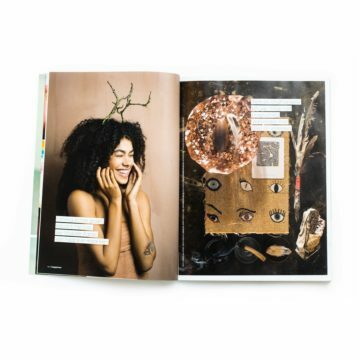 This works as a guide for creating unity thought the issue, and is also a good tool to brief and inspire photographers, stylists and illustrators. 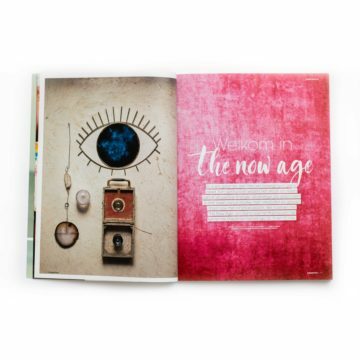 Today we are still stetting the tone, always developing to keep pushing the trends.